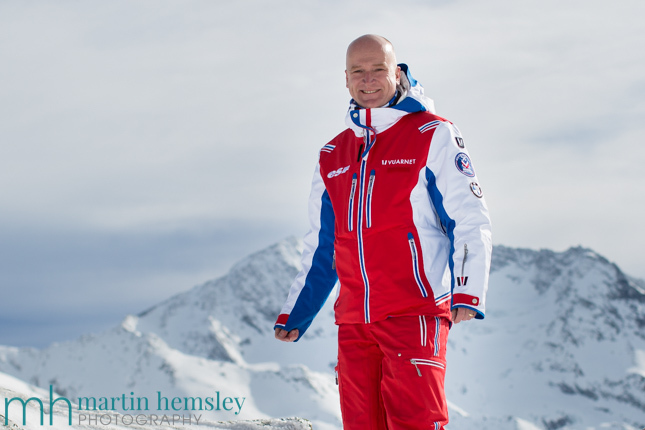 Actually, before I start reporting on people's feedback and how I think their enjoyment on skis can still be improved, I want to share with you my history with the sport and my recent psychological and physical experiences. I first learnt to ski at the age of eighteen, on holiday in Bulgaria before the 'iron curtain' came down! I caught the skiing bug, which quickly got out of hand, and eventually led to my first ski season at the age of thirty. It was at this point that I started the very long road through the ski instructor exams, which included the need to massively improve my own skiing performance, and also pass the rigorous European Speed Test (a giant slalom race test). 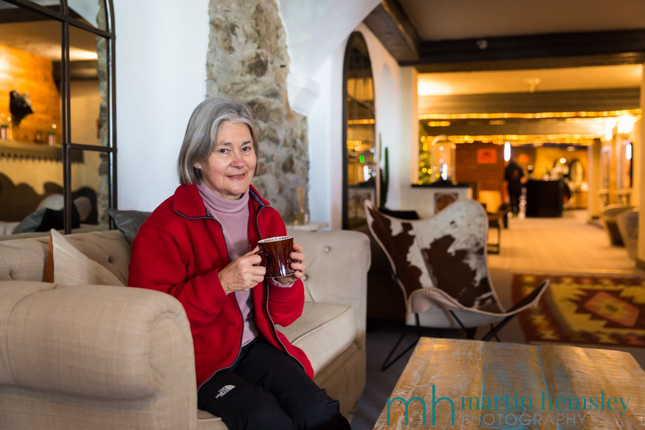 I was very aware that time was not on my side to make these changes, especially as I was heading towards my mid to late thirties. Thankfully I got through to the end and qualified at the highest level before reaching my next decade. How old am I now I hear you ask? Without giving away too much, I'm mid to late forties! So do I think my skiing standard has declined due to age? This is a slightly tricky question to answer due to many reasons, but rather than thinking about whether my skiing performance has declined or improved, I think a good way of looking at it is to say that it has 'evolved'. This can mean many things. So what has evolved with my skiing and body. I'm less springy and bouncy than when I was younger. And my speed of foot isn't quite as quick as 'back in the day'; in other words my twinkle toes have less of a bright shine to them now! How does this affect my performance on skis now? To be honest, not that much, for the vast majority of my skiing. I believe the only place that it might be noticeable is in a mogul (bumps) field. The way that I ski the bumps now is different to ten years ago. If you compare me to a colleague of mine who is in their twenties, then I'm sure my rate of descent would be slower. There's no point getting grumpy about it, because it's reality. A non-skiing example could be football. How many premiership footballers can you name that are still playing into their late forties? Exactly, it doesn't happen. It makes me chuckle that some people in the media are grumbling about Wayne Rooney's performance these days: over the hill, at the age of thirty one!?! Consider this though, when Wayne does reach my age, you can bet your life that he will still have incredible football skills. Balance. When I get the chance to work on my own skiing, I concentrate massively on my balance to help improve my energy efficiency. And this is something that I've made a point of observing over the recent winters with people at any age. If recreational skiers are well balanced, they will stand more relaxed on their skis, which in turn makes their skiing energy efficient. Skiing becomes way more tiring if we are slightly out of balance; it takes a physical effort to keep recovering poise. The good news is that it doesn't take a huge physical effort to be balanced on our skis. And in my book, that's no bad thing especially if people are skiing into their fifties, sixties, seventies or even older. The last couple of winters I've skied with Adrian and Jane. Let me start with Adrian first (pictured above), who by the way is an Olympic gold medallist from the 1976 Montreal Games. He is still fit for a guy of his age. He openly admits that up until a few years ago he was continuosly fighing against the mountain due to balance issues. 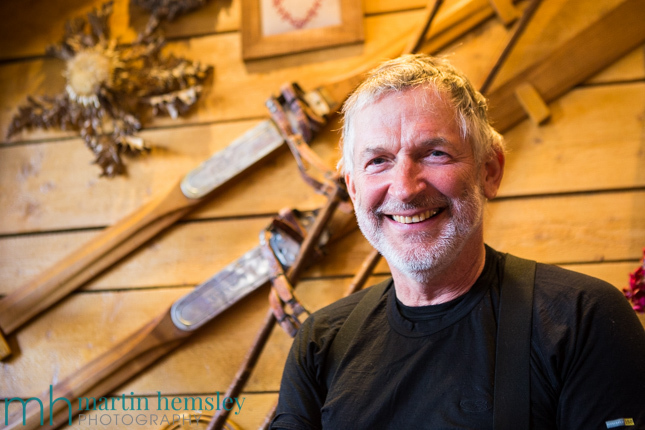 He has worked very hard over the years, and now skis much more energy efficiently. Jane is also an excellent case, she is a beautiful skier on any piste. She stands really well over her skis, and turns patiently and skillfully. Their latest goal is to extend the number winters that they can ski, especially now they have become grandparents. 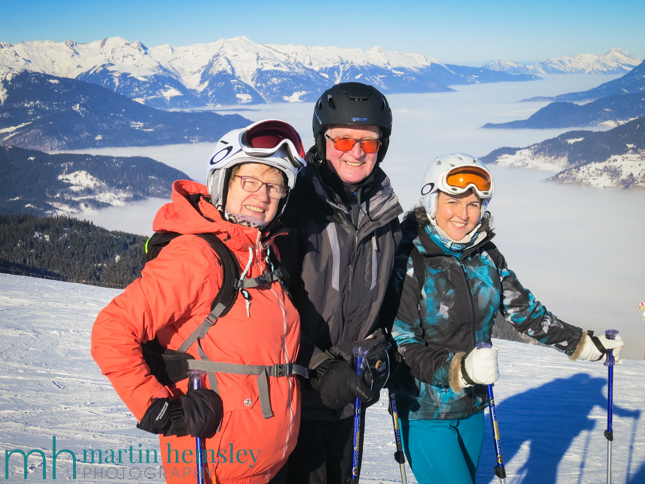 They can't wait to ski with their grandchildren, and thanks to the manner in which they ski now I truly believe that this is easily achievable. Right, enough of my thoughts and observations, let's hear what you think. Over the last couple of weeks I've been making some notes whilst chatting to people over a hot chocolate and lunch. Here is a short list of things mentioned to me. - I've been told that you become much more risk averse. So for example if there is a choice of skiing a black piste compared to a red or a blue, when you get older it is less likely that you will choose the black. - I've also been told that you can get tired more quickly, this is why being able to ski with great energy efficiency is an attractive proposition. 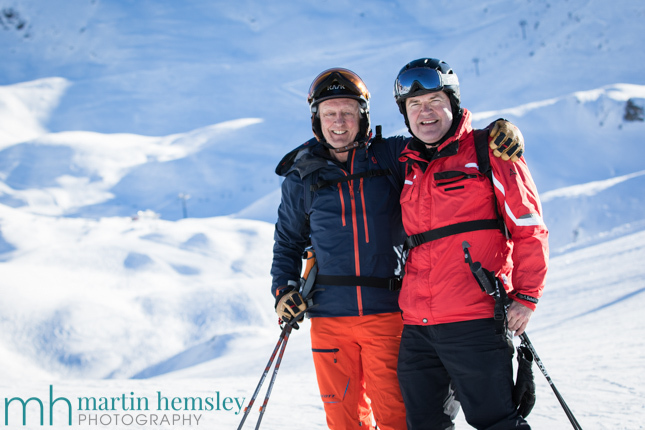 There are also some positives about how our skiing transforms with age. 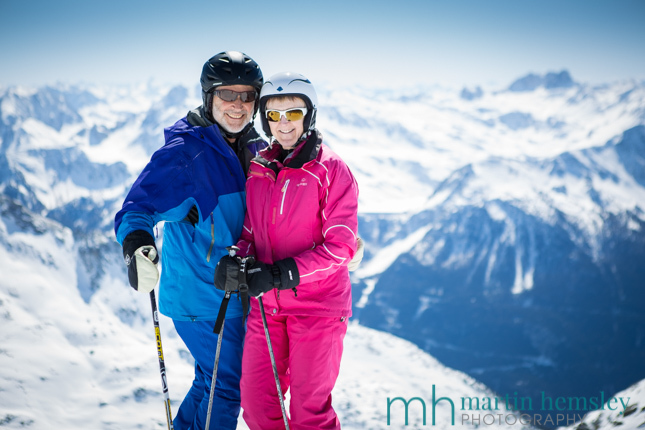 - Enjoyment of skiing often increases as we get older. For instance, when people are younger they might be able to ski from first to last lift in the day. This doesn't happen anymore, however it was explained to me that you still enjoy the buzz and exhilaration of the sport and the mountains. These feelings are precious because it can be difficult to replicate this back home during normal life. The sense of well-being is appreaciated even more. For example being in the high mountains in sunshine is very uplifting compared to typical winter weather in the UK. 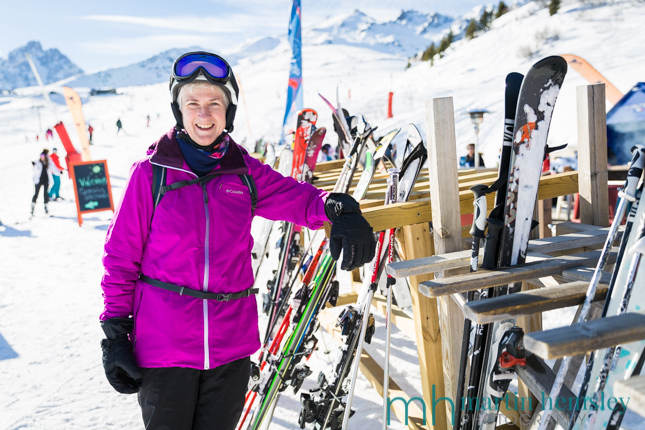 Back to the original question at the start of this blog page - How does your skiing evolve with age? In short, our performance does gradually change as explained above. However I believe that your enjoyment and experience, whilst on your precious ski holiday, can still be very pleasurable indeed. Isn't skiing a great sport for all ages? 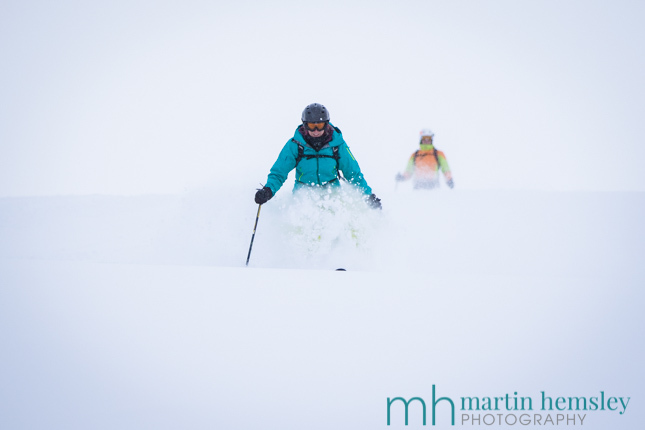 I hope you enjoyed this article, if so you might like another from a few months ago titled 'Ski Friends', click here for the link. Feel free to share away on social media with the icons on this page, or leave a comment below. Speaking of which, my website is due to go through a software upgrade this week which means historical blog posts will lose all comments left by you lovely people. With that in mind please let me know you are out there reading these posts by leaving a new comment from mid-week onwards using the 'Disqus' platform. In the meantime, Live With Passion everyone. Martin.